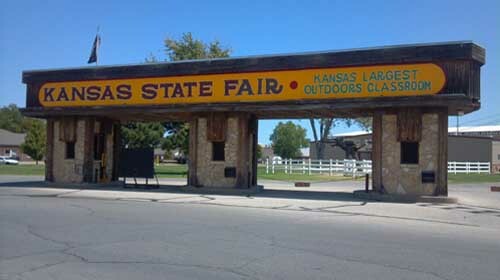 A national animal rights group filed a federal lawsuit on Monday to keep the Kansas State Fair from putting limits on the showing of a video depicting livestock slaughter. People for the Ethical Treatment of Animals want the video, narrated by Paul McCartney, to be shown at its fair booth next month in Hutchinson, Kansas. But PETA said fair officials stated in an e-mail that the video must not be visible to the public passing by. The lawsuit, filed for PETA by the American Civil Liberties Union of Kansas and Western Missouri, said restrictions on the video amount to a violation of free speech. PETA is asking a judge to order the state fair to allow the video to be shown and to declare the fair a “public forum” where free speech is protected. This entry was posted on August 28th 2012 at 1:19pm/13:19 and is filed under Live News Column 1. You can follow any responses to this entry through the RSS 2.0 feed.